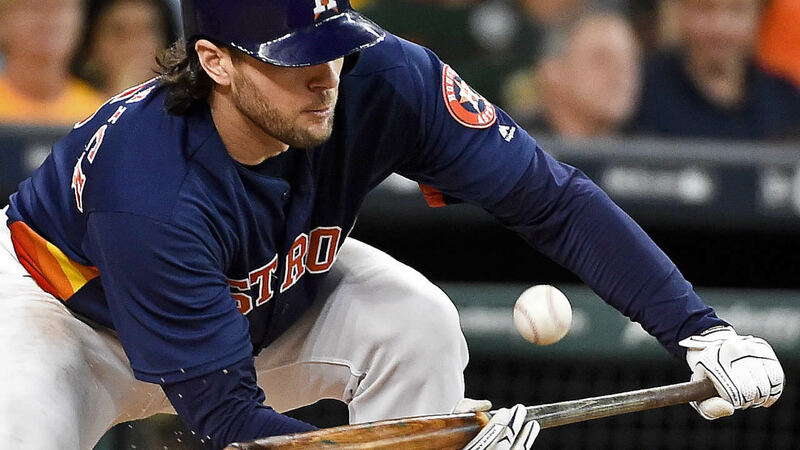 HOUSTON -- Jake Marisnick scored the winning run on an errant throw in the 10th inning as the Houston Astros rallied for a 2-1 victory over the Oakland Athletics on Sunday. After Jose Altuve was intentionally walked, Marisnick scored on Carlos Correa's chopper to third that Danny Valencia threw up the line to first as Yonder Alonso's attempted tag missed Correa. It was the A's fourth error of the game.